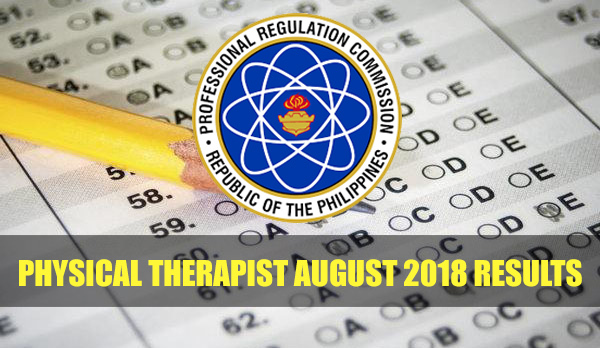 The August 2018 Physical Therapist Board Exam Results are expected to be released online by the Professional Regulation Commission (PRC) anytime soon. 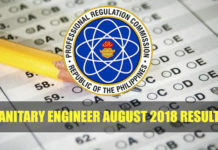 PRC and the Board of Physical Therapists conducted the Physical Therapy licensure examination in Manila, Baguio and Cebu testing center on August 11-12, 2018. 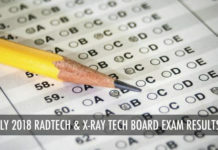 The list of Physical Therapist licensure exam passers and top 10 are expected to be out few days after the last day of examination. Possible release date is between August 14 and 15. However, results maybe released earlier or after without prior notice. 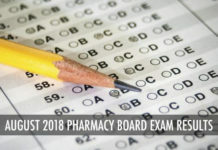 UPDATE: The Professional Regulation Commission (PRC) announces that 931 out of 1,379 passed the Physical Therapist Licensure Examination and 209 out of 307 passed the Occupational Therapist Licensure Examination given by the Board of Physical and Occupational Therapy in the cities of Manila, Baguio and Cebu this August 2018.